Discover our animated and interactive dinosaurs! 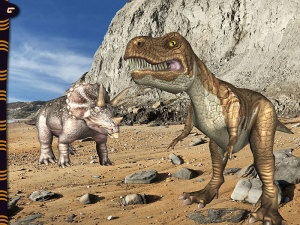 3D Animated Stickers: Dinosaurs as you’ve never seen before! Realistic models of dinosaurs moving and making funny sounds placed into natural and incredible environments. This app adds a new level to the interaction of the classical stickers so loved by children. The T-Rex or the velociraptor are brought to life on screen by moving in three dimensional space while tens of animations let your children customize specific movements of every dinosaur. Interactions with dinosaurs are simple and intuitive: move, resize, near or send them away and animate randomly one of a dinosaur. Tens of backgrounds are available to recreate various environments from the most realistic ones to the most fanciful ones. Now you can insert the dinosaurs into the most famous cities with sounds that characterize this environment. 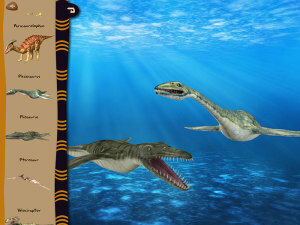 The dinosaurs with which you can interact with 3D Animated Stickers Dinosaurs are: Ankylosaurus, Apatosaur, Dilophosaurus, Parasaurolophus, Plesiosaurus, Pliosaurus, Pterosaur, Spinosaurus, Stegosaurus, Tiranosaur, Triceratops, Edaphosaurus and Velociraptor. You can also enrich the scene it is also possible to add three dimensional objects like rocks, stones, eggs and trees. These can also be moved, resized, rotated, brought nearer or sent away. 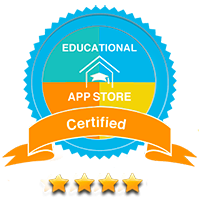 This app is designed for and tested with children aged 3 to 8, but the very realistic graphics can surely excite older kids. The app doesn’t require internet connection and doesn’t contain advertising or promotional material. This app requires iOS 8 or upper because it uses some functionality only available starting from this version of the operative system.